Joe Maddon’s Cubs are already done in the playoffs after entering the final two days of the regular season with the best record in the National League, but the swift collapse apparently won’t cost the manager his job. 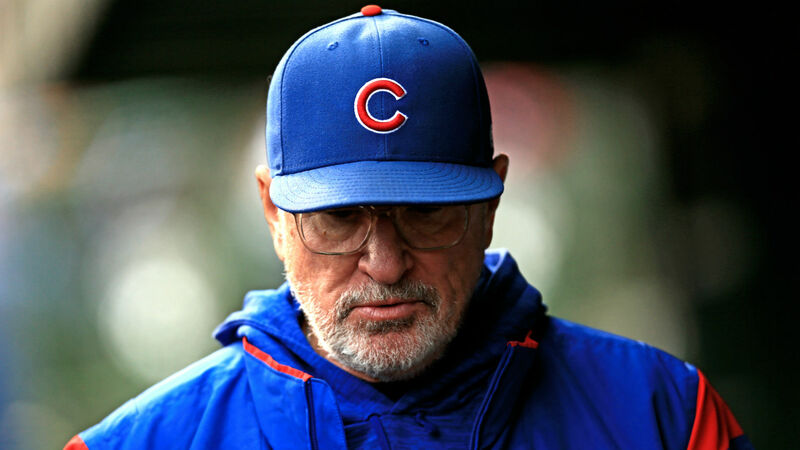 Maddon will return in 2019 for the final season of his five-year, $28 million contract, USA Today reported Wednesday, but he will not receive an extension this winter. Neither aspect of that report is a huge surprise, but some had questioned Maddon’s status given the Cubs’ abrupt exit from the postseason and rumors of potential friction with president of baseball operations Theo Epstein. One other factor in some speculation that Maddon might not return is the Angels’ current managerial vacancy. Mike Scioscia stepped down Sunday after 19 years at the helm, and the last man to manage the Angels before him was … Joe Maddon, who was at the helm for the final 29 games of the 1999 season after Terry Collins was fired. Maddon spent 31 years as a player, scout, minor-league manager and coach in the Angels organization before the Rays named him their manager ahead of the 2006 season. Maddon jumped to the big-budget Cubs in November 2014 and has led the team to sustained success not seen in Wrigleyville in a century. The Cubs have won at least 92 regular-season games and made the playoffs in each of Maddon’s four seasons, finally ending their 108-year World Series title drought in 2016. The team had reached 92 wins in a season only once in the 25 years before Maddon’s arrival. Those types of accomplishments carry less weight around the game than they used to, as evidenced by the Yankees and Nationals parting ways with Joe Girardi and Dusty Baker, respectively, after trips to the playoffs last season. But Maddon seems to be safe for at least one more year.